Vineyard — Banks & Co. 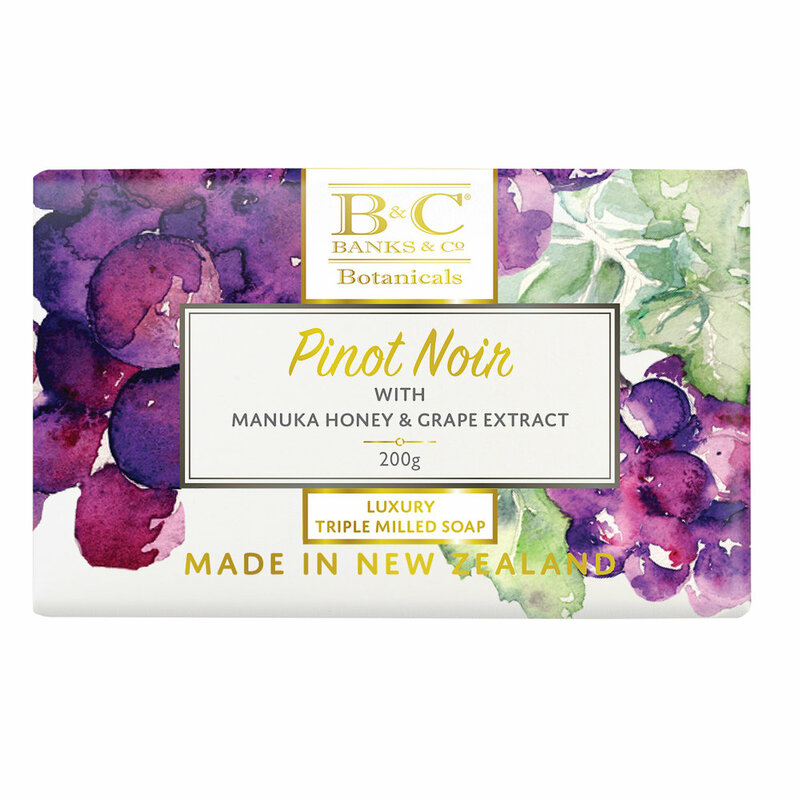 These luxury soaps celebrate our passion for fabulous wine and are made in New Zealand using pressed juice and fruit pulp from local grapes. 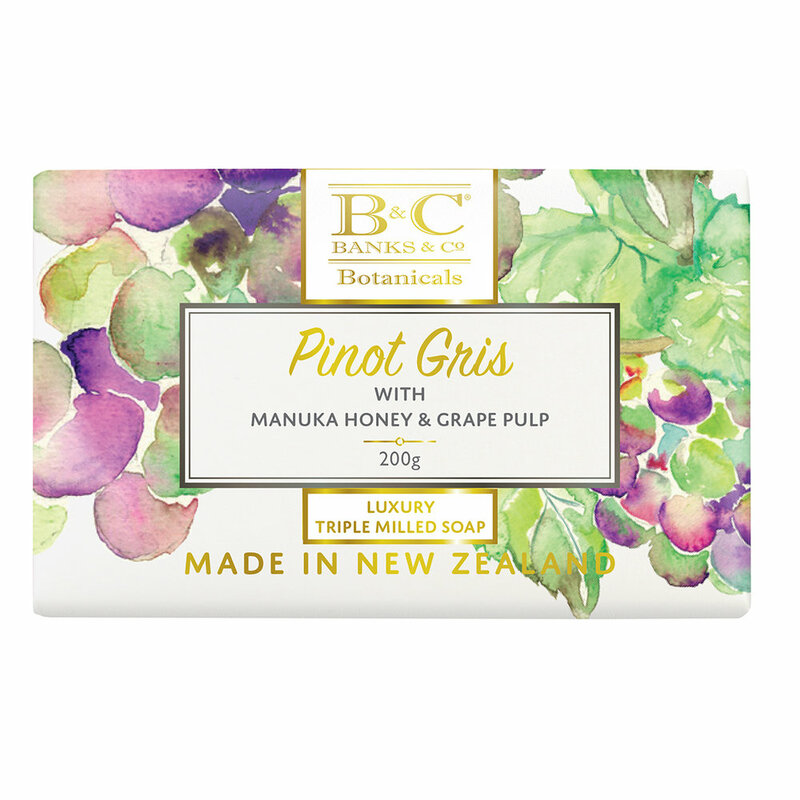 Indulge in the rich bouquets of plum and spice, passionfruit and papaya, and buttery honey. Wrapped in soft-sheen paper with gold foiled details. 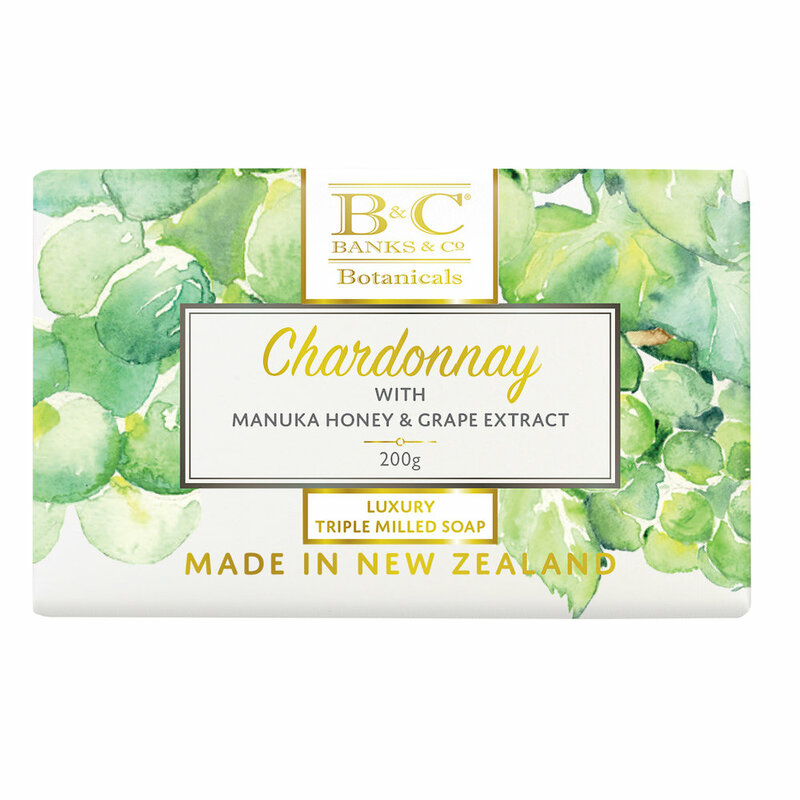 A rich and creamy white wine soap with honey and New Zealand grape pulp.